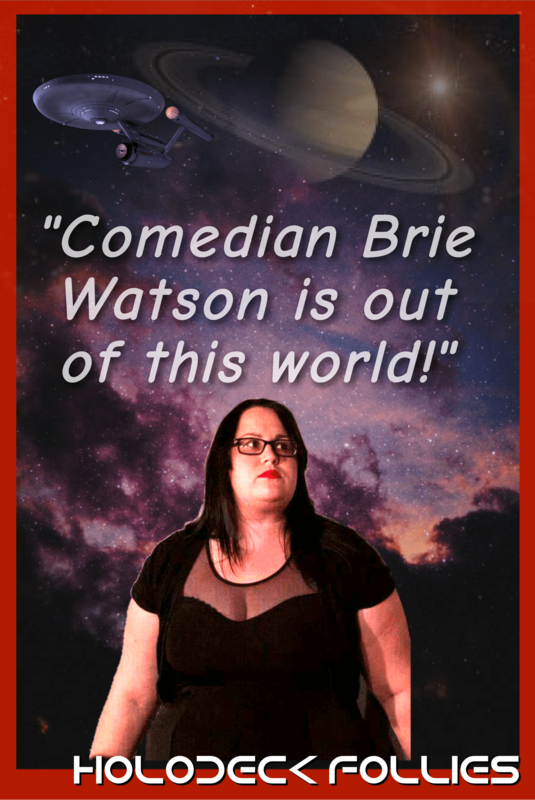 Brie Watson has been a friend since we met at Comedy Bar’s Festival of New Formats a few years ago and a fan of Holodeck Follies shortly thereafter. When we first met, I knew more about her stand-up and sketch than improv side but we have since jammed and taken classes together. And it has been a pleasure performing with this powerhouse comedian. – Because I am losing my memory, I invite too many people onstage. Rather than exclude anyone, or sit out myself, it is a way to stay inclusive. And that is the heart of Star Trek — at least the way we do it! Brie is a busy performer with shows at each of the main comedy venues in Toronto. But tomorrow night, she’ll engage the audience at warp factor fun.